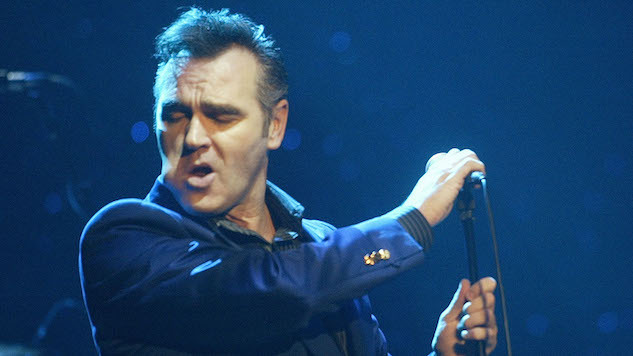 Study Finds Smiths Fans Are "Neurotic," Tom Waits and Bjork Fans Are "Open"
The New York Times recently highlighted the 2015 study to show how the now-disgraced firm Cambridge Analytica used data from studies like these to build psychological profiles of people, so they could then be microtargeted. The data from this study analyzed Facebook likes through an app called myPersonality, which tested people’s openness, conscientiousness, extroversion, agreeableness and neuroticism. 70,000 people particpated in the quiz, which gave the app access to their Facebook profiles and the profiles of all that person’s Facebook friends. The study also says fans of anime and Finnish metal band Nightwish are “least extroverted” and fans of Gucci Mane, Waka Flocka Flame and fashion brand Michael Kors are “most extroverted.” With conscientiousness, the study found fans of the TV show Adventure Time are the “least conscientious,” while fans of the show Private Practice are the “most conscientious.” In terms of agreeableness, the study says that fans of Judas Priest are the “least agreeable” while fans of Rascal Flatts are the “most agreeable.” You can read the rest of the odd findings of the study here. Over the weekend, it was reported that Cambridge Analytica had paid to harvest the data of 50 million Facebook users and in response to the reports, Facebook banned the company from its platform. In a follow-up the next day, The Guardian revealed that Facebook knew about Cambridge’s data breach back in 2015, but didn’t tell anyone.